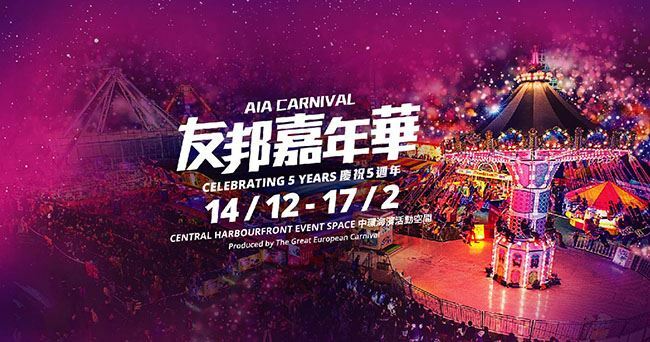 Enjoy 10% off of General Admission Ticket (Adult and or Concessions) of The AIA Carnival when purchasing online. Please purchase General Admission Ticket (Adult and or Concessions) on The AIA Carnival website with the promo code before checkout for redemption. Valid period of this coupon: 10 Jan, 2019 till 15 Feb, 2019. Please visit https://tgec.asia/zh-hant/tickets/ to purchase online. Please enter the promo code when online purchasing. In event of any disputes, Watsons Water and The AIA Carnival reserve the right of final decision.